Fresh graduate Amy Worthington has launched The Irrelevant Actor, a new platform striving to deliver opportunities for all, through inclusive conversation; media events; and the production of arts related work and jobs. Amy trained as an actor at Drama Studio London. She quickly became aware that, in order to succeed in the industry, you cannot simply sit by the phone and wait for someone to give you a job. She became increasingly interested in how people ‘break’ into the industry, as well as the individual journeys of actors past and present. Having conversed with her peers about representation, opportunities and the sheer tenacity required to in a fledging actor, Amy decided it’s high time these people were given a voice; and with that The Irrelevant Actor was born. The pilot series of The Irrelevant Actor was released in March 2019, consisting of five full-length episodes featuring emerging actors discussing their own personal journeys, as well as the pressures of the industry; mindset; and mental health. The series has a brand new guest every week, and aims to offer advice, honesty and inspiration, in an industry often fraught with confusion, tension and prejudice. 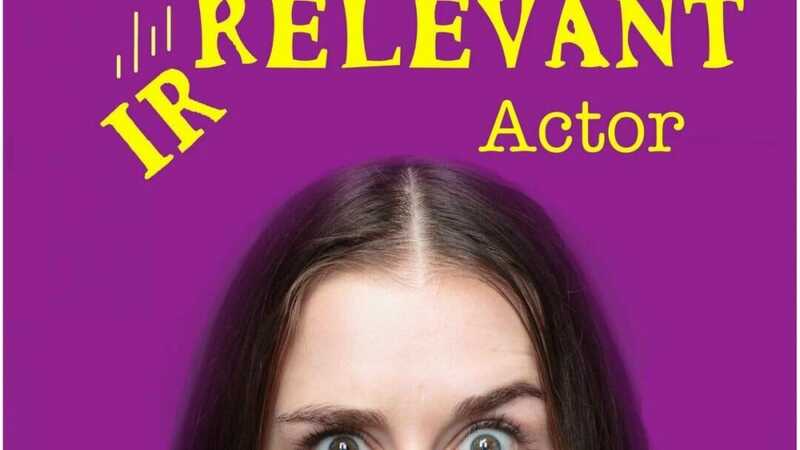 The Irrelevant Actor is accessible, relatable and humorous, targeted at everyone from those artists who are just starting out in the industry to those who are fully fledged and established. The brand aims to go beyond the red carpet glitz and glamour, the West End standing ovations and the paparazzi’s flashbulbs, and really delve deeply into the reality of starting out – and what it means to be an Irrelevant Actor. This month, Series 2 is being recorded and will cover many more exciting topics, such as Autistic Awareness Week; the trials and tribulations of theatre production; BAME representation; and toxic masculinity. The Irrelevant Actor has plans to expand. The team hope to host events in theatres, universities and drama schools, in order to allow students and actors to get involved directly in the conversation. Think Question Time but for actors! The team are also developing plans to showcase new writing in the form of scratch nights. The Podcast is available on Spotify, Apple Podcasts and Podbean.